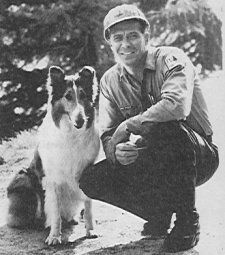 Southern Rockies Nature Blog: Smokey is 70, How Old is Lassie? Smokey is 70, How Old is Lassie? A week ago we stopped in at "the lodge," the first time in years. Despite the merely average food (heavy on burgers and burritos) and watery coffee, it hits an emotional place for both M. and me. Creaky, uneven wooden floors, knotty-pine paneling — for her it echoes similar establishments in the Vermont of her childhood, for me it is the same, only with memories of the Black Hills or little Colorado mountain resorts like Platoro or some place up in the Poudre River canyon. Near our booth in the dining room was this shrine to Smokey Bear, demigod of the forest. He — as a hand-drawn bear — turns 70 this weekend. WHAT'S IN A NAME: Most people know the finger-pointing fire-safety fanatic as Smokey THE Bear, but in fact there is no "the" in the original name. In 1952, Steve Nelson and Jack Rollins wrote a song [link to video] in his honor and added a "the" between "Smokey" and "Bear" to keep the rhythm flowing. THE "REAL" SMOKEY: Smokey Bear's nascent ad campaign got a boost in 1950 when a real bear cub that had been rescued from a New Mexico wildfire was nursed back to health and sent to the National Zoo in Washington, D.C., as the living Smokey [1950–1976]. THE VOICE: Actor Sam Elliott, known for playing the bowling alley-narrator in The Big Lebowski and supporting roles in movies like Up in the Air and Mask, has served as the latest voice for Smokey. Both share the same "birthday." Elliott, the son of a Fish and Wildlife official, also turns 70 on Saturday. The same photo as at the lodge. There next to Smokey's left paw was a photo of Lassie the television collie dog. I wondered about that. she was handed over for the 1964–1970 seasons to U.S. Forest Service employee "Corey Stuart," a plot change that resulted in "a steady decline in ratings." I looked on YouTube and found some of those episodes — dubbed in German. In the one I sampled, Lassie and Stuart (who is wearing a hard hat although there is not a tree in sight) are riding in a pickup in what looks to be the Mojave Desert. Maybe he should have been Corey Stuart of the Bureau of Land Management. The BLM never had a proper mascot. Would You Eat Amanita if David Arora Cooked It?